I had the rare opportunity to attend this exclusive lunch class with Executive Chef Michael Stebner, who co-created (with Dr. Andrew Weil) True Food Kitchen.The focus of True Food Kitchen is to promote an anti-inflammatory diet while using seasonal, simple and pure ingredients. The menu included Chickpea Bruschetta, Baby Arugula, Frisee with goat cheese salad, Fettuccine with Kale Pesto and Chocolate Icebox Tart. Love'n The Kitchen was so sweet and gave me free reign to take pictures and roam about the room! 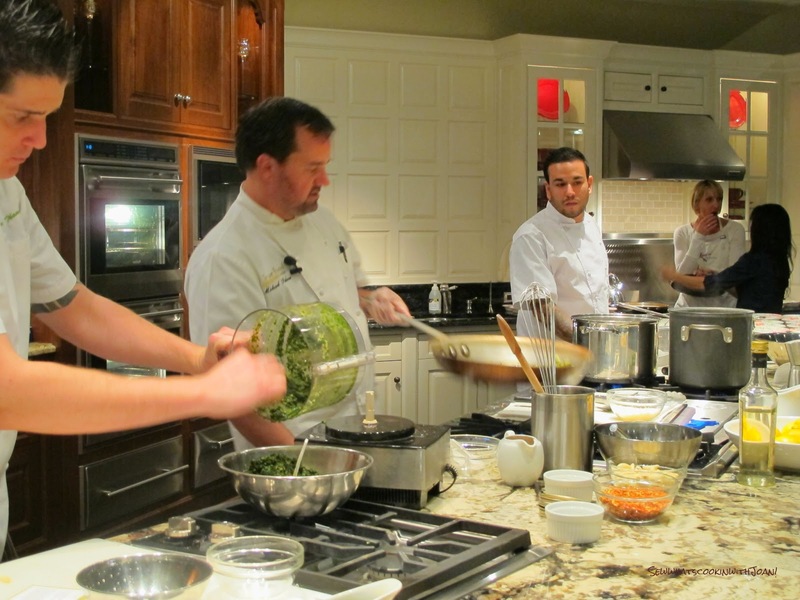 Love'n the Kitchen is proud to be the only cooking school in Arizona, exclusively sponsored by SubZero-Wolf. They feature state of the art, professional equipment and a talented staff. See some of the Beautiful kitchens I photographed. Classes are taught via live demonstration, with plenty of interaction and time for questions. You leave with the recipes and inspiration to re-create the dishes for those you love. Bring a large pot of water to boil. Fill a large bowl with ice cubes and cold water. Plunge the kale into the boiling water for 3 minutes, transfer to the ice bath. After 3 minutes, drain the kale and squeeze out any extra water. 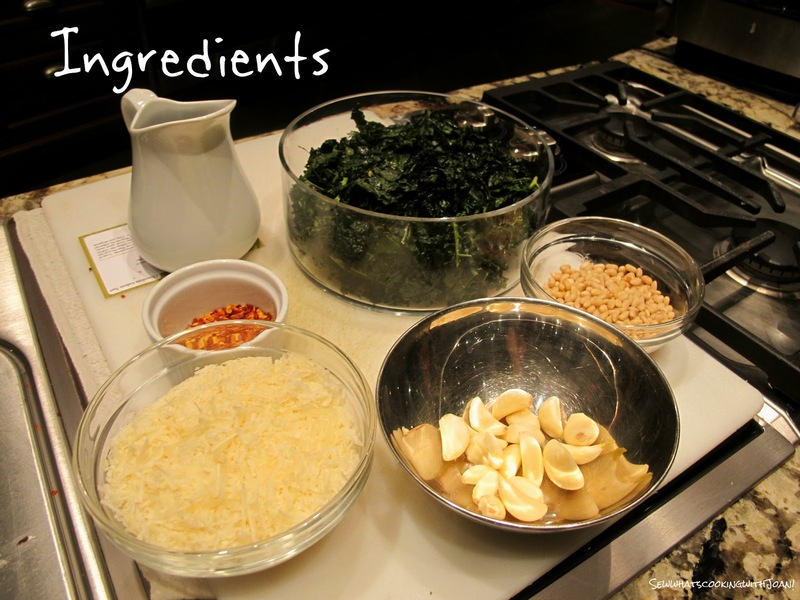 Put kale into remaining ingredients in food processor and puree until smooth. Fettuccine: cook the fettuccine until al dente, and drain. 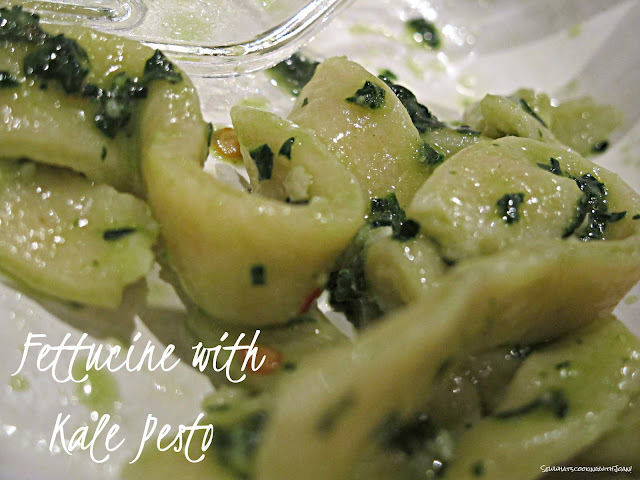 Toss pesto mixture and cheese, mix well. In Scottsdale the mountains are in bloom! Please enjoy some pictures I took with my Thursday hike group! 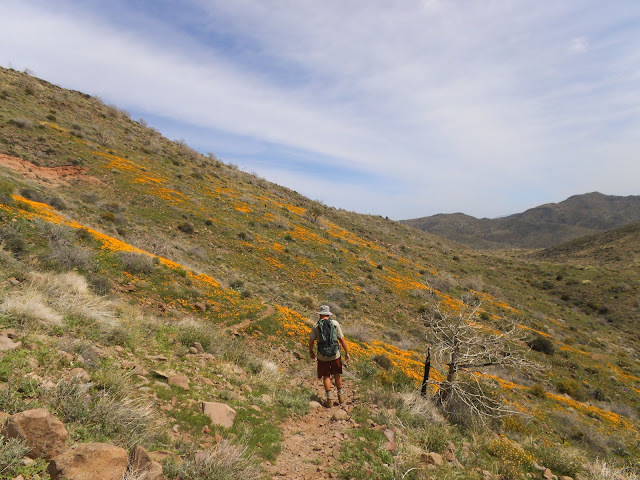 These were taken on two hikes both in the Seven Springs area, we did the 10 mile loop, Skunk Tank and cut to Queen Sabe Trail, then yesterday we did Cottonwood/Bronco loop about 8 miles. 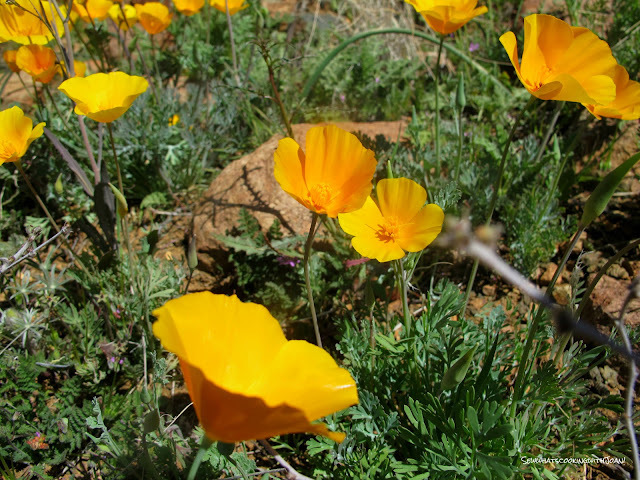 The poppies are also in full bloom on all the Desert Mountain Trails. Even when saguaro cacti grow in their normal form, they rarely grow symmetrically. 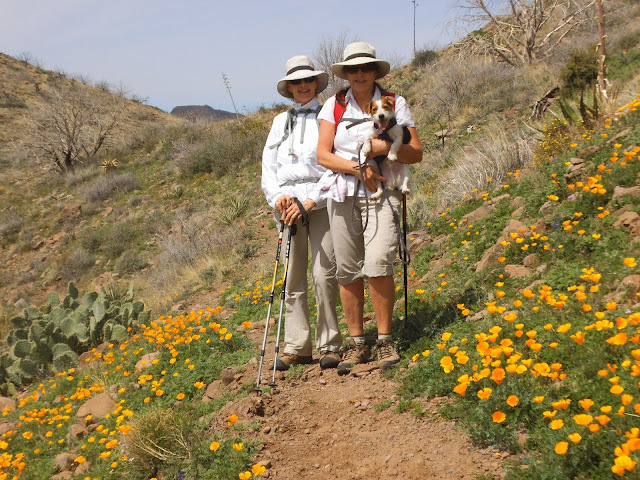 Saguaros sometimes grow in odd or misshapen forms. The growing tip occasionally produces a fan-like form which is referred to as crested or cristate. Though these crested saguaros are somewhat rare, over 25 have been found within the boundaries of the National park. 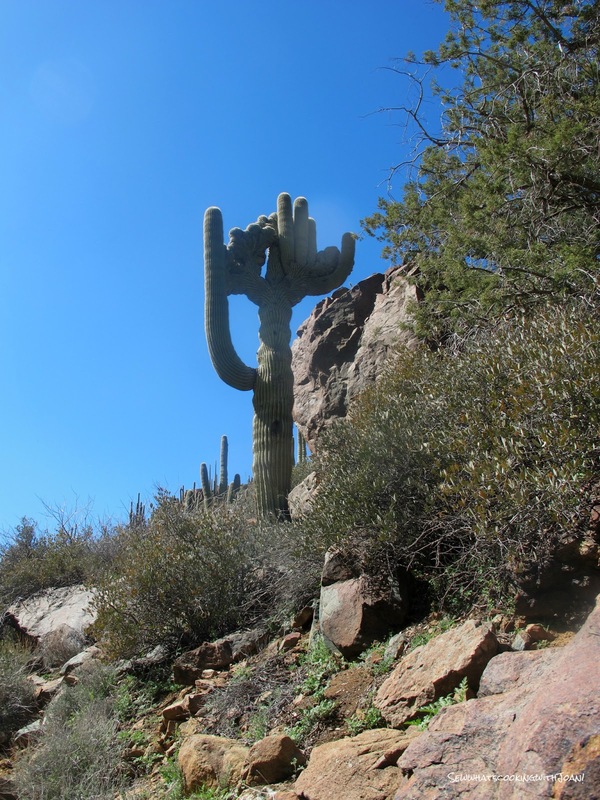 Biologists disagree as to why some saguaros grow in this unusual form. Some speculate that it is a genetic mutation. Others say it is the result of a lightning strike or freeze damage. At this point no one really knows what causes this rare, crested form. Thanks Emmie! 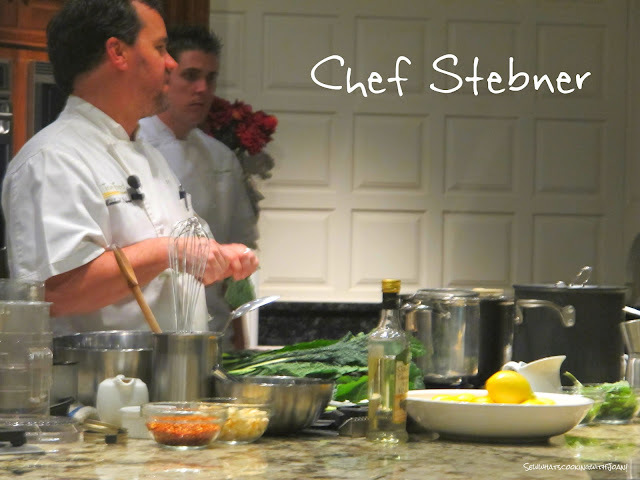 I am thrilled to share my experiences and Chef Stebner is one of my favorites!